Z Nation Lab bring people together to share their knowledge on various technology topics like system design, software development, functional programming, big data, mobile technology, infrastructure, etc. A sharing series where great minds in programming and innovation talk about what they know best. 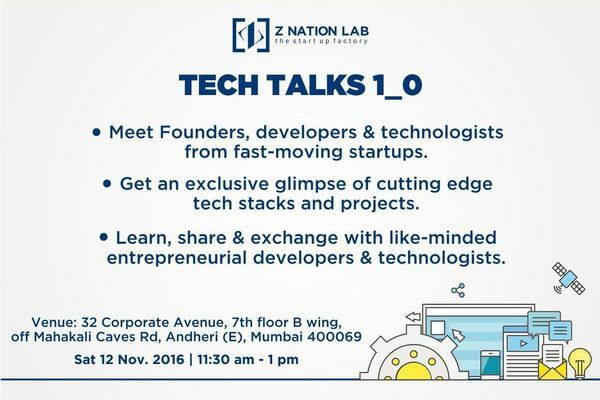 Tech Talk will begin at 11:00am at Z Nation Lab and then later join us for an opportunity to network. The event gives the opportunity for experienced community members to share their expertise, their adventures with new frameworks/concepts, cool projects, and, more generally, their experiences and inspirations. RSVP today to confirm your participation!